A new kitchen is often the most expensive room in your home. Buying and planning a new kitchen can also be an intimidating process and it's easy to get overwhelmed. 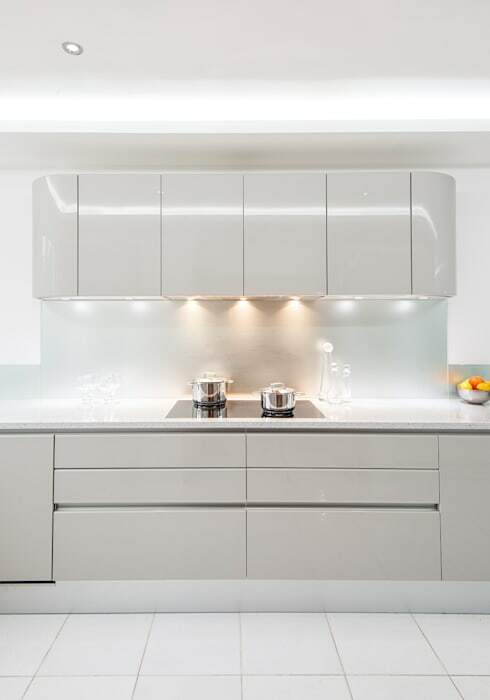 But while professionals may have the smooth talk and easy familiarity with the choices on offer, you have the distinct advantage of knowing your kitchen space intimately. You can see how the light enters the room at all times of day and you know how you or your family will need to use the space. Let's not forget that a new kitchen can be prohibitively expensive and there are plenty of ways to bypass or work around the so-called necessities with a little bit of research. So with a few key tips, you can take a proactive approach, prioritise the things you want most and create the kitchen of your dreams. Keep reading for a quick and easy guide to buying a new kitchen. If you're starting from scratch, look at the natural benefits of the space and seriously consider an open plan approach that will allow you to socialise while cooking. See how this lovely kitchen has been designed to flow into the living space and face the natural view outside. Before letting yourself fall in love with particular finishes and locking in designs, it's best to think practically and plan out your space. If you go to a kitchen planner or use a program online, ensure that you can see the layout in 3D. The key point to really focus on though is the working triangle. This is the space between your cooker, fridge and sink. 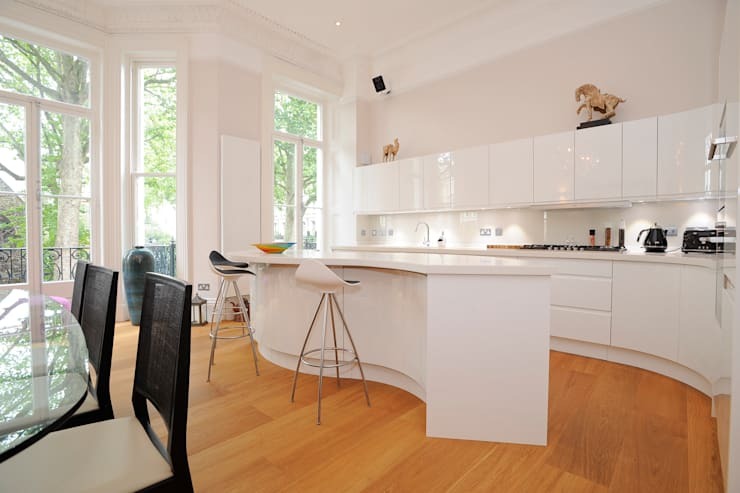 There should be a suitable amount of space between all three to enable a sense of flow and there should certainly be no obstructions such as a kitchen island or table. Once you've worked out the practical considerations of the space, you should have a rough idea of the cost. Now you can get into the fun part of choosing your finishes. It's safer to go for timeless, muted tones and reserve adventures in colour to your splash back, accents or the occasional cupboard door rather than the entire cabinet. Just look at this kitchen by Gutman + Lehrer. 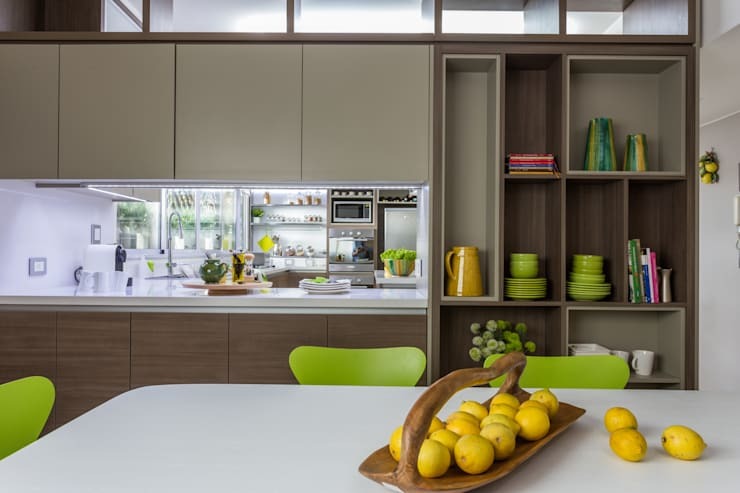 The cupboards and fixtures are all quite sober in colour, but the green chairs and plates add that real wow factor. The most common complaint kitchen planners encounter is that people say they don't have enough worktop space. 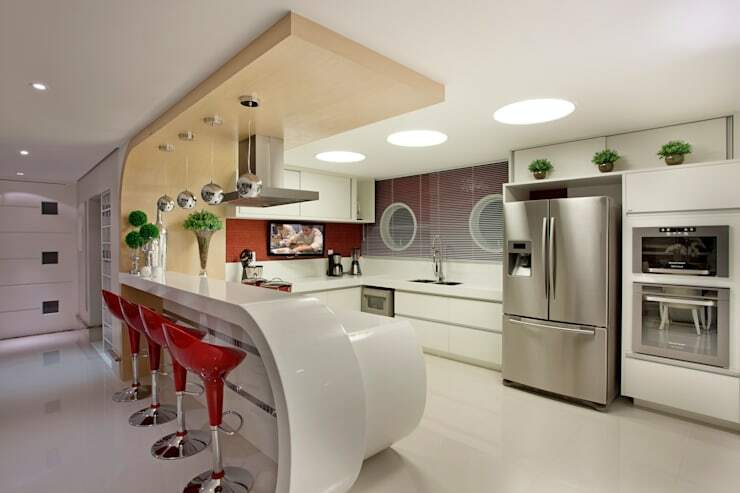 The general advice is to create as much horizontal working space as possible in your kitchen. This can be tricky in an I-shaped kitchen layout with just a single line. It's often also a factor in a L-shaped kitchen where the working bench-space may impede on the working triangle. A kitchen island or breakfast bar is a great way to add working space, but even a small trolley with a fold out bench can be a great help. The next most important consideration is the type of worktop. Granite is a popular choice and a high quality laminate is fine too. But beware of a dark, highly polished surface, although it will look glossy and beautiful in the showroom, it will show finger-marks very easily. While many advise against wooden worktops, a few layers of tung oil will harden and protect the wood like nothing else. It's safe for food preparation and undoubtedly beautiful. But be sure to add more layers of oil regularly and make sure it's generously coated around the sink and cooking areas. Basic kitchen cabinets are usually made in standard sizes. So if you're happy with the original layout, you can just add new cabinet covers. Aside from the configuration of the cabinets, soft drawers are a must to avoid the noise from slamming cupboards. Kitchen drawers get a good workout so it's good to spend the money on some robust runners. Don't forget to install lots of storage space either. Aside from food, cutlery and kitchenware, you'll also need storage space for recycling bins, cookbooks, cleaning products and tea towels. First we'll start with the practical considerations. 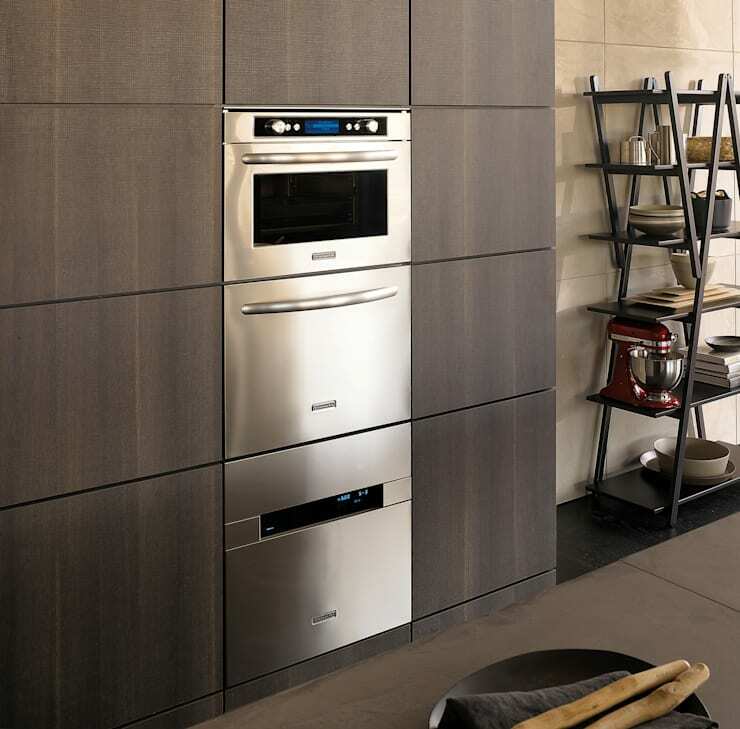 If you have a small kitchen, built-in appliances will create the illusion of more space. A frost-free refrigerator should be checked for its energy efficiency and a good fridge will have a significant effect on the life of your fresh food. Induction hobs have come a long way and just as fast to heat as gas cookers. But aside from this, we just love the latest trend in retro-styled appliances. They are beautiful, bright and should really be put on display. 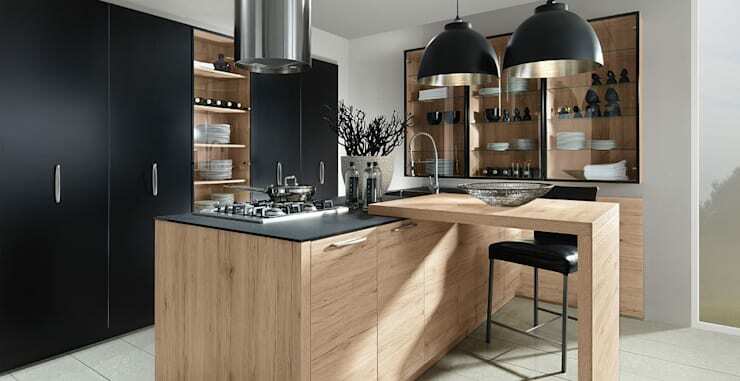 If you love great kitchens, have a look at this Ideabook 7 tips to create a restaurant standard kitchen. How are you finding the process of planning a new kitchen? We would love to hear in the comments below.